Kung Hei Fat Choy! Happy Year of the Horse! 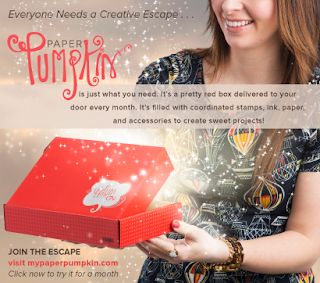 Totally catching me by surprised in December, I was selected by Stampin' Up! 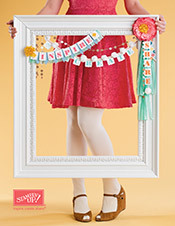 Team Canada to be a featured creative designer on the Scrapbook & Cards Today blog. Without hesitation, I accepted this challenge. 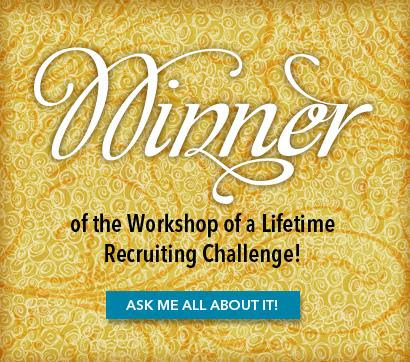 I am absolutely honored to be selected. Thank you, Stampin' Up! Team Canada! 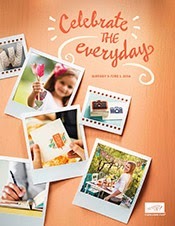 The first Saturday of each month the blog features Stampin' Up! 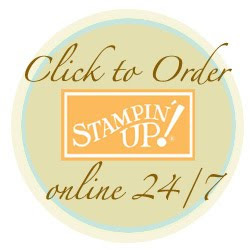 products and creative projects by the selected Stampin' Up! demonstrator. The post is always accompanied by a giveaway, so make sure you check each month! I was featured in this month's post. Check out the February post here. Over the next couple of posts, I will be blogging about these projects. I submitted 8 projects and only 5 of these were featured on the guest post. Make sure you come back to see the completed set of 8 projects. In the kit, there are 10 cute craft treat bags and sheets of 6"x6" Designer Series Paper. 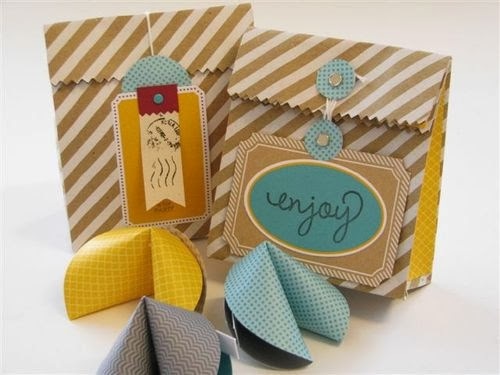 Just in time for Chinese New Year, I turned the 6"x6" DSP into fortune cookies and the treat bags for hostess favours. You can do so much more with this kit. I'll show you more over the next few days. For the record, fortune cookies aren't Chinese. They were created in North America. Fabulous Ida! Congrats on being chosen.